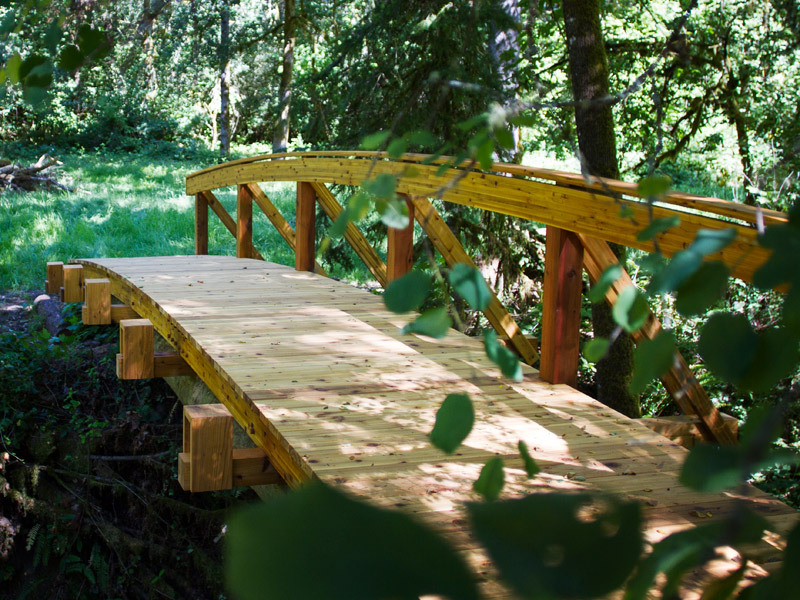 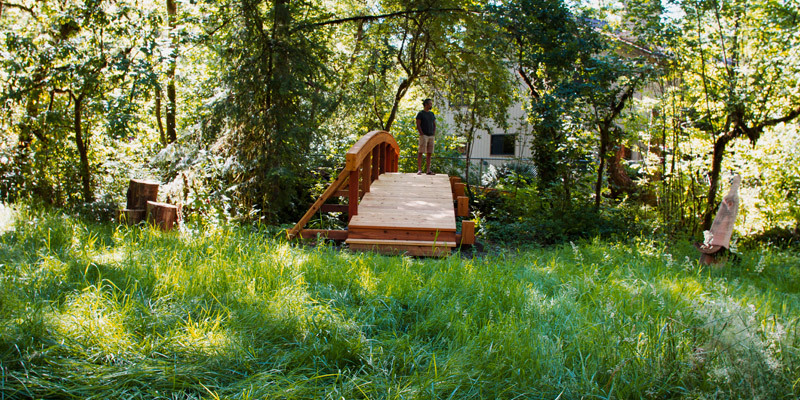 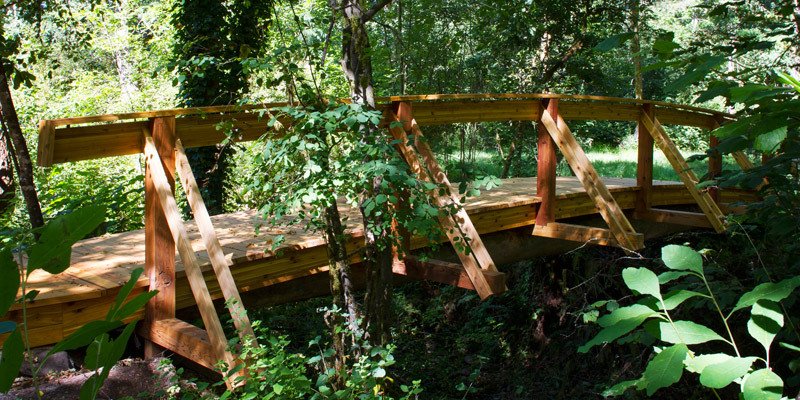 This 50′ long footbridge spans a small stream, linking the house to an open meadow. 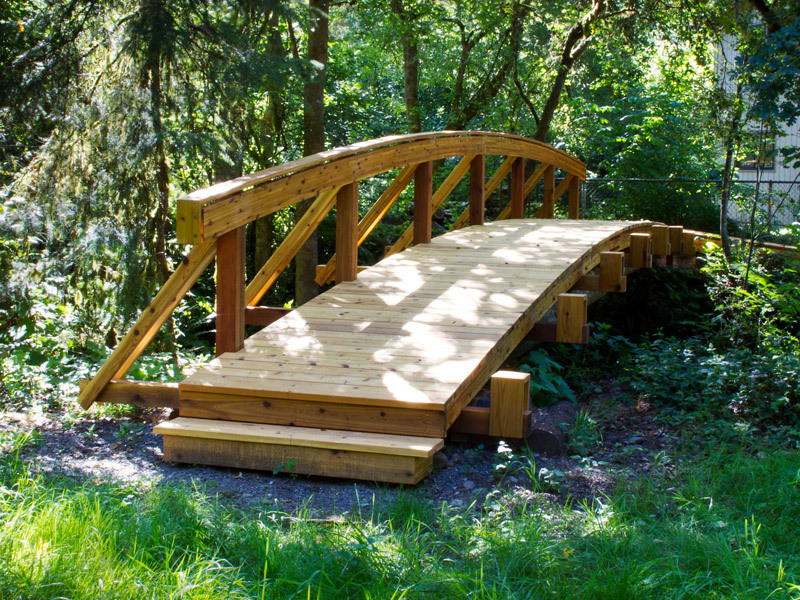 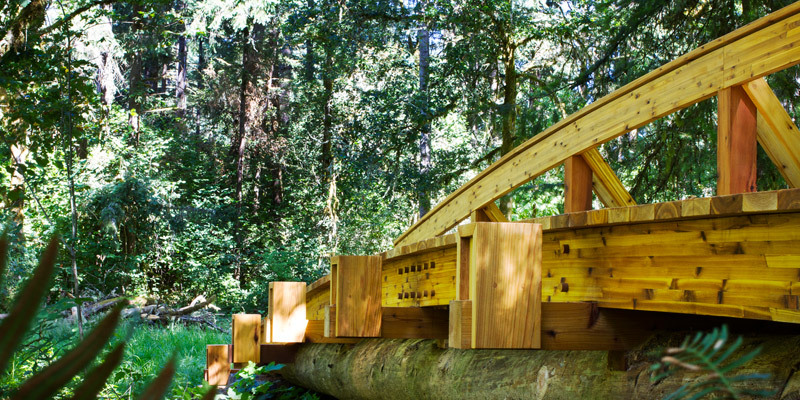 The bridge is constructed of western red cedar, and sealed with an oil penetrating stain to help protect it from the Washington weather. 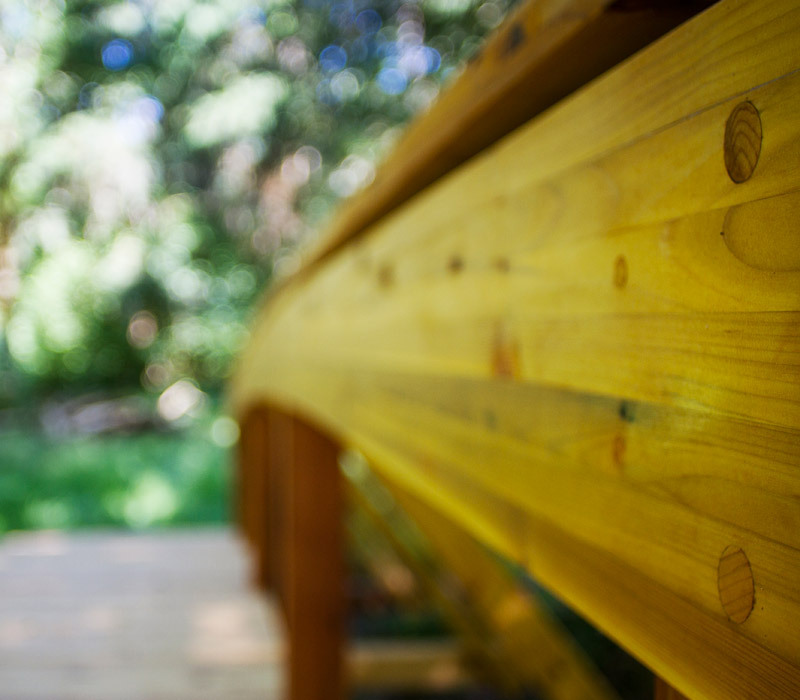 The handrail floats above the 7 posts, which are supported and strengthened by diagonal braces. 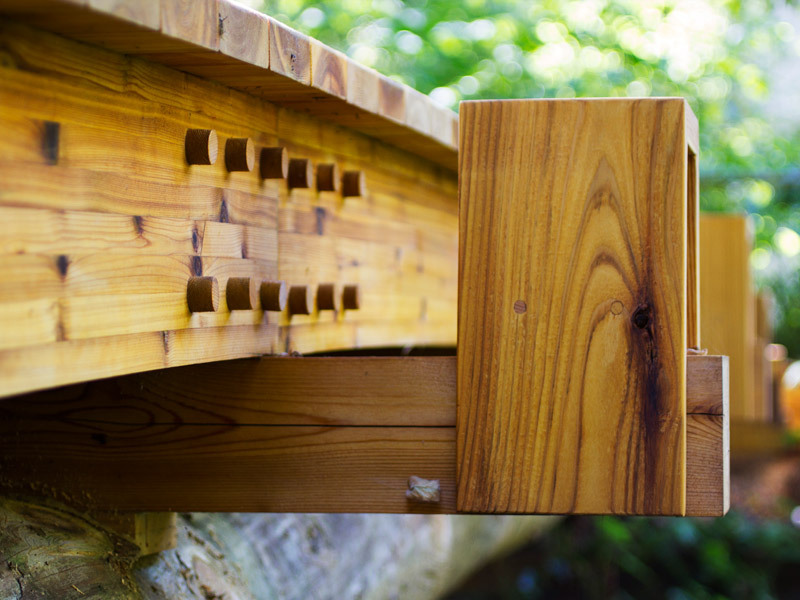 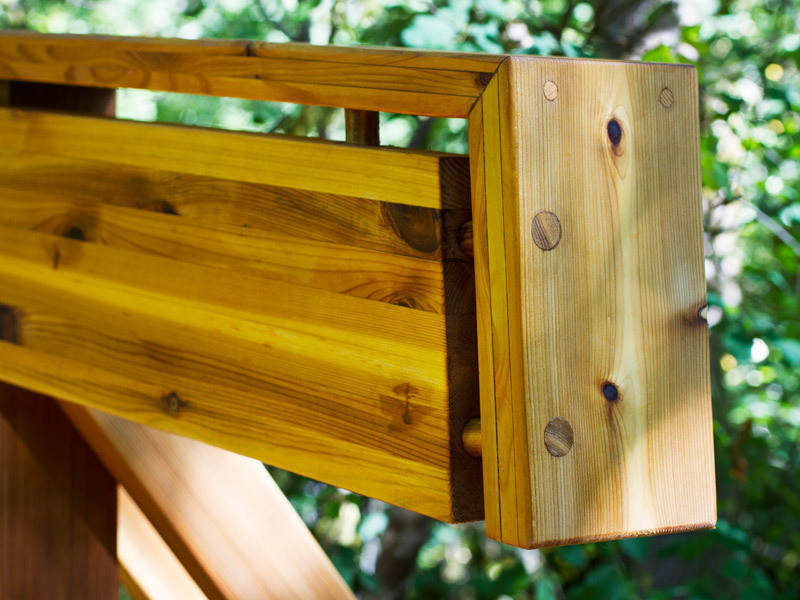 Subtle details and restrained design elements enhance the structure to create a functional, handsome piece that enhances the beauty of its surroundings.